Natural beauty! 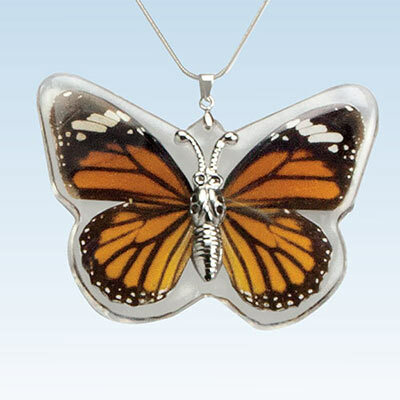 Real monarch butterfly wings encased in clear acrylic and a delicate silver-tone "body" creates this unique piece unlike any other! Silver-tone chain, 20"l, 2"l pendant and 2" extender.